The words of Moses and Aaron to Pharaoh recorded in Exodus 5:1-3 are striking. Standing before the king of Egypt, they asked him to release the Israelites, but their release was not only so that they could enjoy freedom. As true as it is that God wants His people to be free, that is not the chief reason He sent Moses and Aaron to Pharaoh. God’s servants asked for the Israelites to be freed from slavery so that they could hold a feast in the wilderness and sacrifice to the Lord. Moses and Aaron asked for freedom for the purpose of worshiping the one, true God as He has commanded. We glorify and enjoy the Lord most fully in worshiping Him. Our God, who is the standard of truth, goodness, and beauty, deserves the truest, best, and most beautiful worship we can offer. And as we offer such worship, we are shaped more fully into His image. 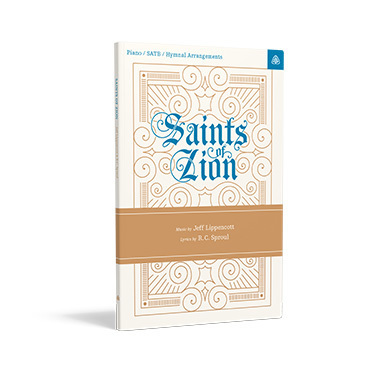 Jeff Lippencott and I have produced this second collection of hymns and sacred music with the goal of helping the church offer worship that is true, good, and beautiful. We pray that these songs will bring glory to our Creator and lead His people into a greater love for Him.